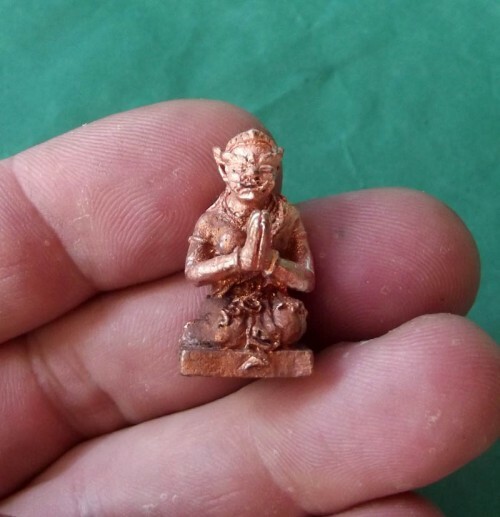 Nang Panturat Adtithaat Lap Miniature Statuette (Loi Ongk) made from Sacred Bronze and Copper Alloy Metals smelted from Ancient Artifacts. Luang Phu Somburn is one of the few Living Masters who is an Adept of the Wicha Pra Tam Gao Gote, an Ancient Wicha which has been passed down through the Centuries from a Few Masters to a Few Apprentices. The Wicha has remained in its Purity by not being shared around to the point of suffering the ‘Chinese Whispers’ effect which causes the true method to become distorted. 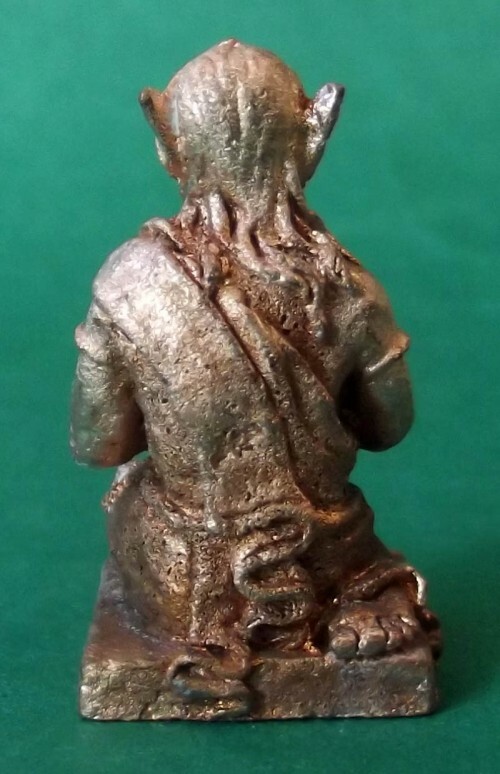 Luang Por Somburn is one of the recipients of the Wicha, and was Adept enough in his Mastery to have conquered the necessary faculties to enable him to use the Wicha for empowerment of this Deva, who is so powerful due to her Yaksa (Asura) Nature. 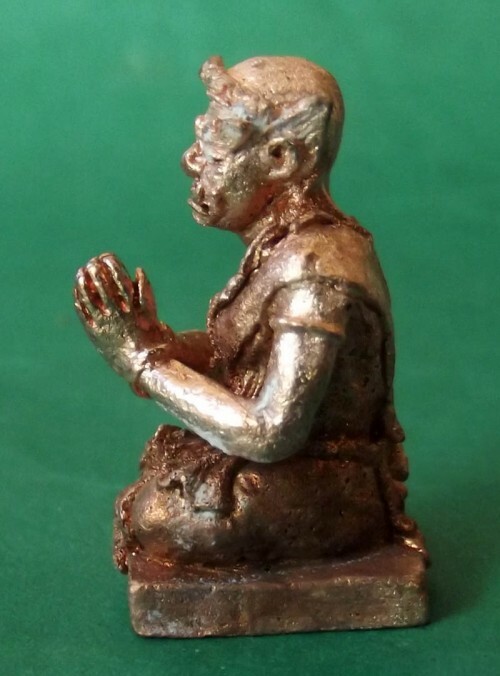 Nang Panturadt Adtihaan Laap is a Deva in the Posture of Praying for Luck and Fortunes. 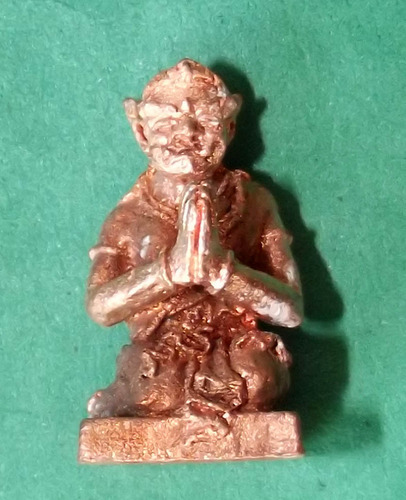 A closer inspection of the surface of the ‘Chanuan Muan Sarn’ used to Cast the Statuette, shows (to the eye of the expert) a high content of Ancient Sacred Metals, and a Traditional; Casting method which will result in the amulet aging with Grace, Class, and Common Preference in the eyes of the Conoisseur.